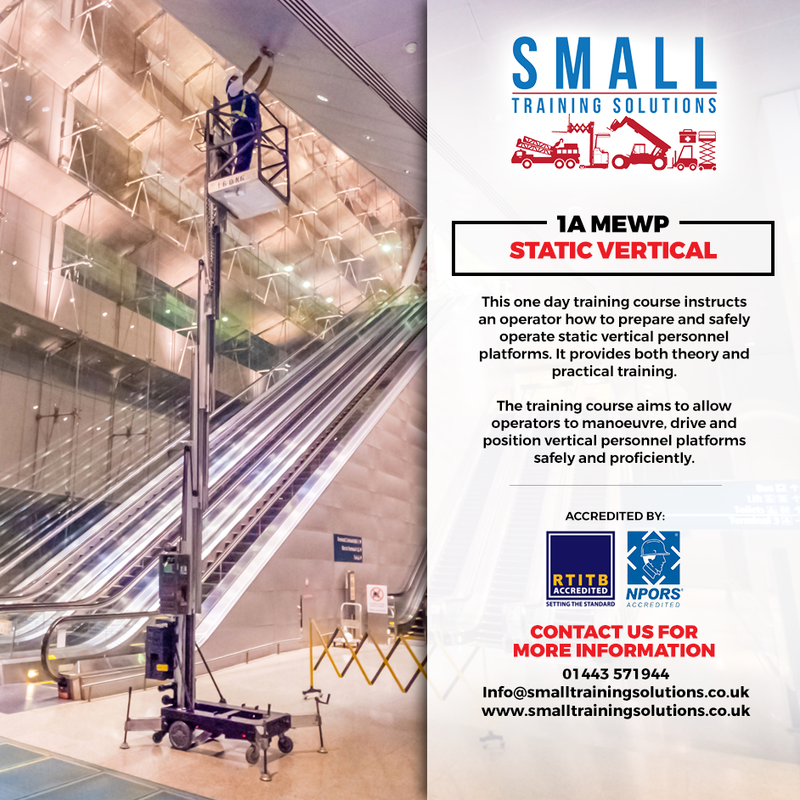 This one day accredited training course instructs an operator how to prepare and safely operate static vertical personnel platforms. It provides both theory and practical training. This one day accredited training course instructs an operator how to prepare and safely operate static vertical personnel platforms. It provides both theory and practical training. The training course aims to allow operators to manoeuvre, drive and position vertical personnel platforms safely and efficiently.